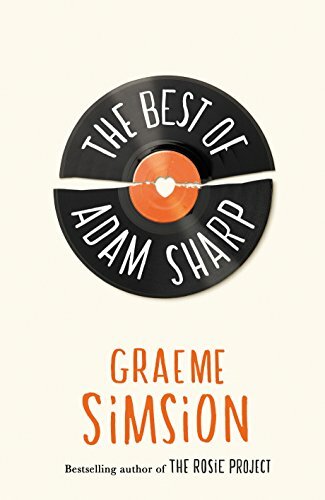 Today sees the publication of The Best of Adam Sharp by Graeme Simsion which has the tagline ‘Can you define your life by a single song?‘. (You can order a copy of the book here) Laura Nicol at Michael Joseph Books asked me to think what my song would be and post about it today. There are a few songs which I thought about. One of them is Billy Joel’s Scenes From an Italian Restaurant. The opening verse includes the lyrics ‘A bottle of white, a bottle of red, perhaps a bottle of rose instead …. I’ll meet you anytime you want in our Italian restaurant’. I had my first date with my husband in an Italian restaurant in Edinburgh’s Southside, de Niros I think it was called. But that song is about a couple who have met up again after many years, having married young then split up so definitely not appropriate to sum up my life as we celebrate our 20th anniversary this year. Plus that restaurant has now closed down so we really can’t meet ‘anytime we want in our Italian restaurant’! I turned to the wisdom of Nametests on Facebook as we all know how highly scientific they are! It said that Happy by Pharrell Williams is a song which speaks to my soul as I’m ‘a positive and passionate person and my smile is breathtakingly beautiful!‘. Well not sure about that and although I do really like that song, it’s not the one I’m going to choose. The song I’ve chosen is the song we did our first dance to at our wedding – The Voyage by the wonderful Irish folk singer Christy Moore. By now I expect many of you are saying, as did many of our wedding guests, what on earth is that? Well, it’s a lovely song with such beautiful lyrics that has always been special to my husband and myself so it’s the one I’m going to choose. We have been to see Christy Moore in concert several times and it is always a special moment to us if he sings The Voyage. ‘Life is an ocean and love is a boat, in troubled water it keeps us afloat. You can listen to Christy Moore singing this live with Declan Sinnott on this Youtube video. It’s lovely isn’t it and he has such a beautiful voice.